1. In a small bowl, mix softened butter, crushed garlic, and chopped dill together. 2. 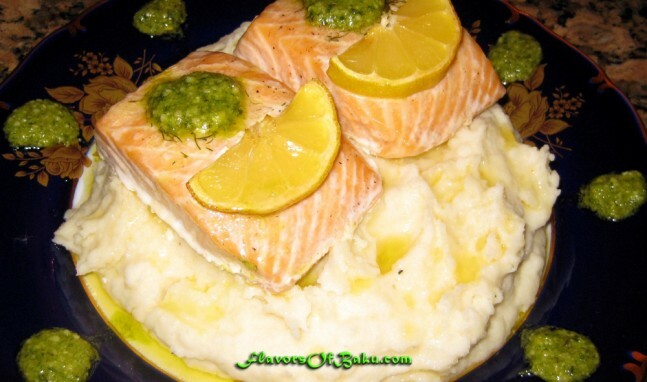 Cut the salmon into portion-sized pieces and season with salt and pepper. 3. 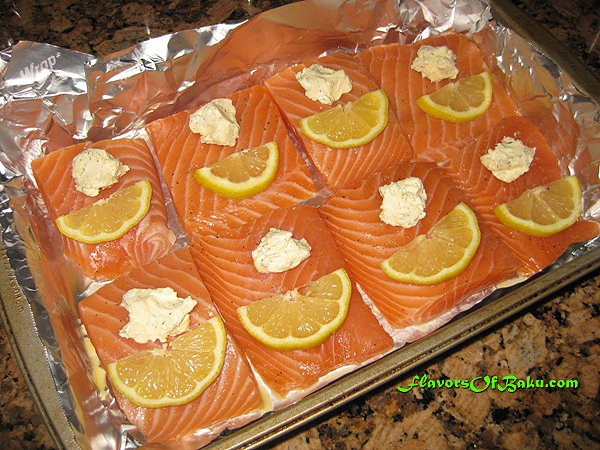 Place the pieces of salmon side by side in a deep baking pan. 4. On each piece, place about 1/2 teaspoon of butter mixture along with a slice of lemon. 5. 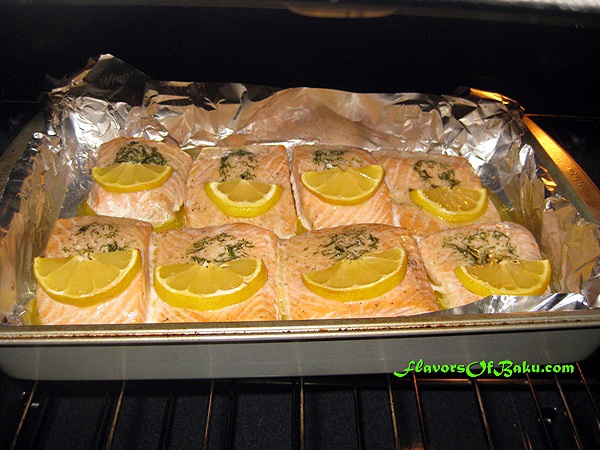 Preheat the oven to 400°F (200°С) and bake the salmon for 20-25 minutes or until it is cooked through. Serve with Narsharab or basil pesto sauce (as in the picture) and mashed potatoes (or any of your favorite side dishes).